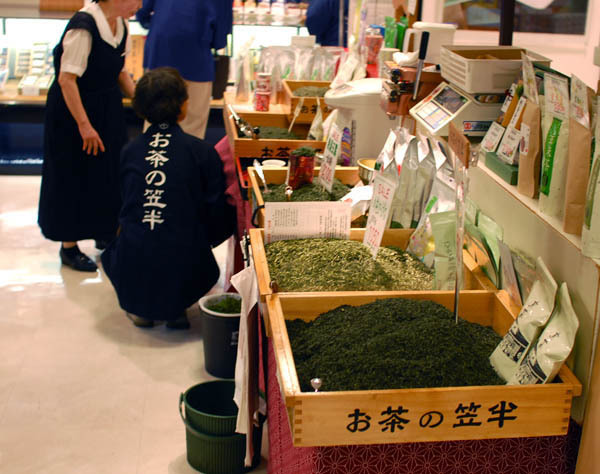 Sogo Department Store in Kobe is located at the south exit of the city's major train station, Sannomiya. 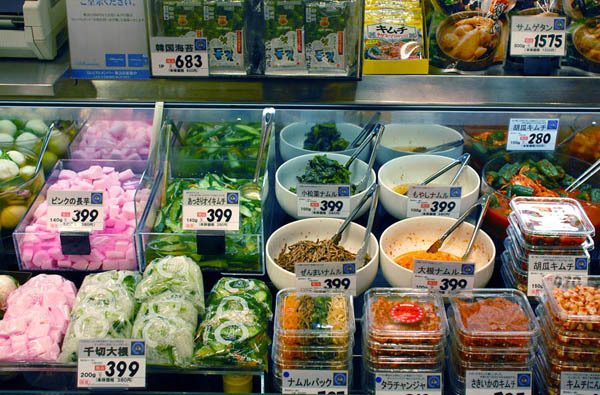 Like many department stores in Japan, it has a thriving food floor on the basement level, packed with independently run stalls selling a fantastic variety of prepared foods. 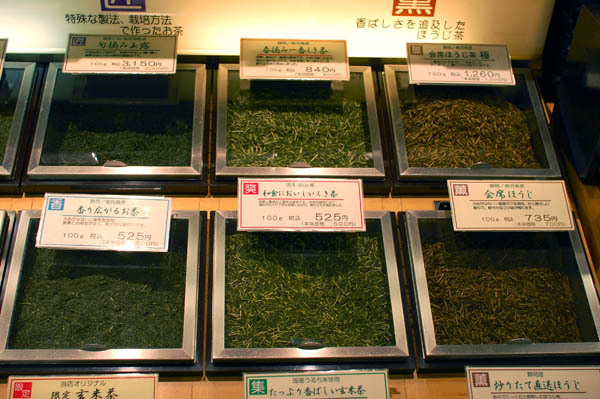 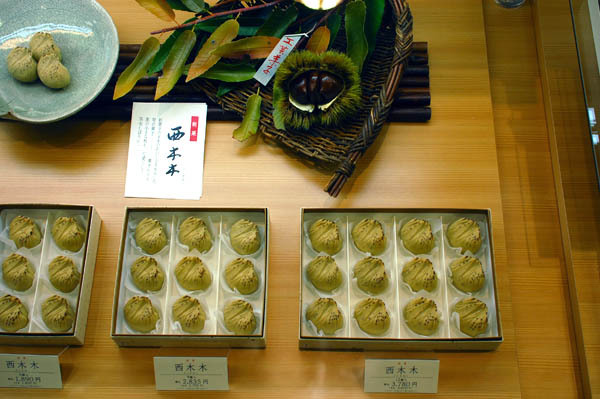 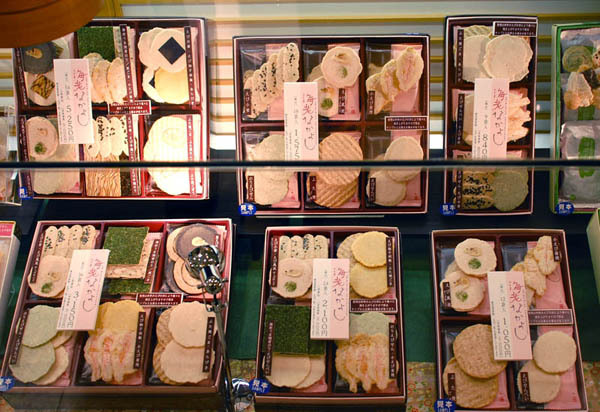 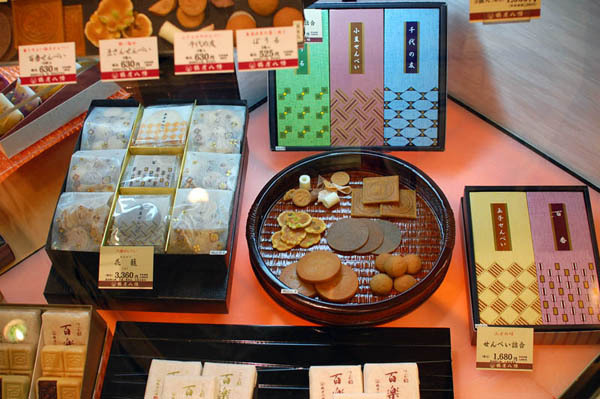 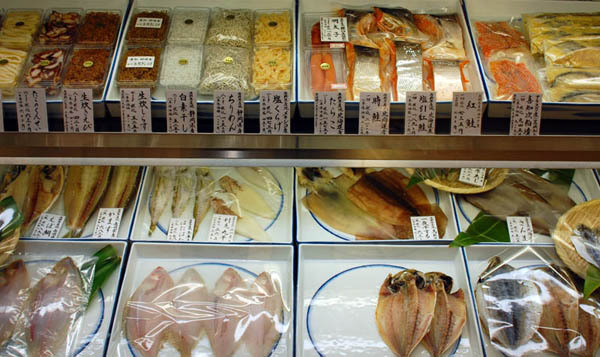 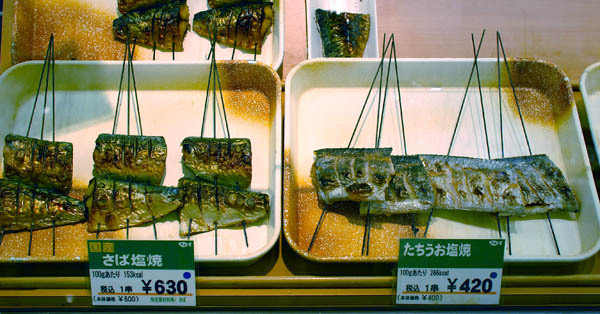 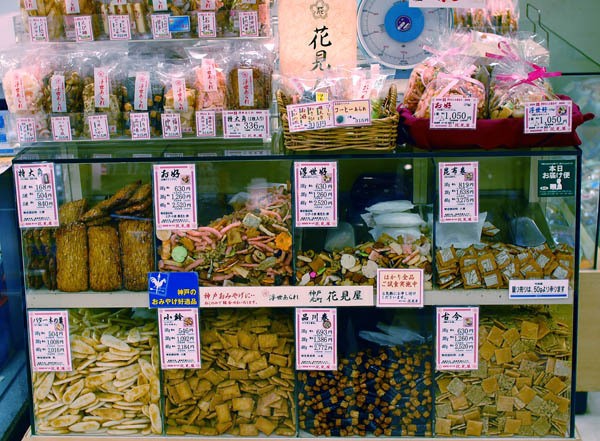 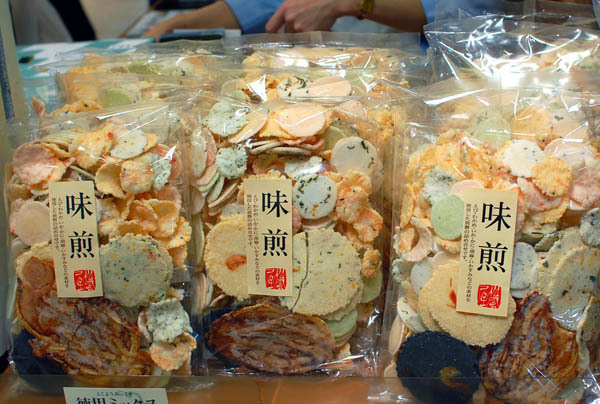 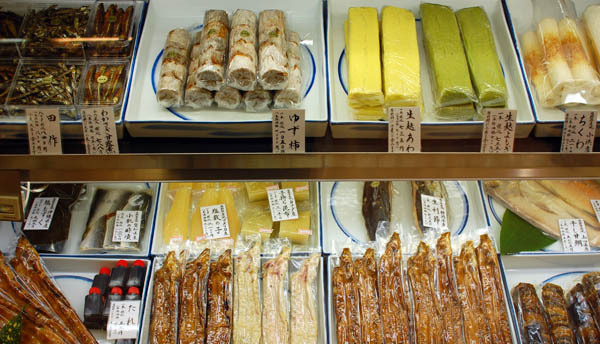 Shoppers can find anything from take-away tempura and grilled fish to delicate Japanese sweets packaged for gift-giving. 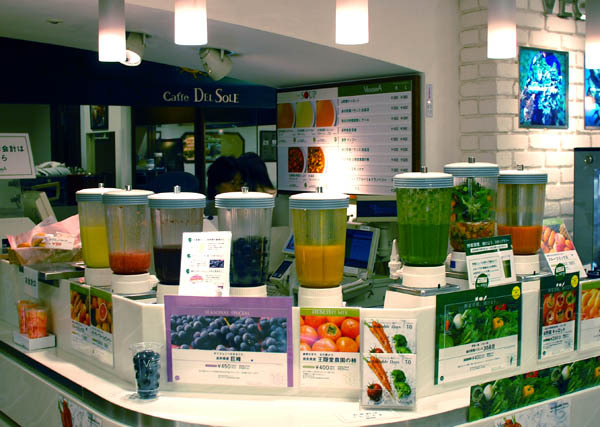 There are also Western-style delis, French bakeries and a handful of sit-down counters where you can grab a quick snack.